This is a list of newspapers printed and distributed in the United States. As of 2014[update], the United States had 1,331 daily newspapers. The following is a list of the top 10 newspapers in the United States by weekday circulation, including digital circulation. ^ "Newspaper Circulation Volume". Newspaper Association of America. 4 September 2012. Retrieved 20 January 2016. ^ "15 Top daily American newspapers". www.agilitypr.com. Agility PR. Retrieved 9 November 2018. ^ a b "The 10 Most Popular Daily Newspapers In The United States". WorldAtlas. Retrieved 2018-10-29. ^ About Us", Press-Republican. Originally published as the Plattsburgh Republican, then became the Press-Republican after a merger on October 5, 1942. ^ "Prospectus for the Columbus Enquirer, January 1828 | TSLAC". www.tsl.texas.gov. Retrieved 2018-01-18. 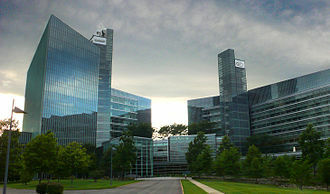 News Corporation is an American multinational mass media company, formed as a spin-off of the former News Corporation focusing on newspapers and publishing. On June 28,2012, Rupert Murdoch announced that News Corporations publishing operations would be spun off to form a new, the move came in the wake of a series of scandals that had damaged the reputation of multiple News Corporation-owned properties. The logo of the new News Corporation was unveiled at a presentation on May 28,2013. The shares fell in price by 3% to $14.55 per share, the new News Corp began trading on the NASDAQ stock exchange under the symbol NWS on July 1,2013, at the same time, the former News Corporation was renamed 21st Century Fox. The newspapers will be operated by GateHouse Media, a group owned by Fortress. Robert Thomson indicated that the newspapers were not strategically consistent with the portfolio of the company. GateHouse filed for prepackaged Chapter 11 bankruptcy on September 27,2013, GateHouse emerged from bankruptcy on November 26,2013. New York Post is an American daily newspaper, primarily distributed in New York City and its surrounding area. 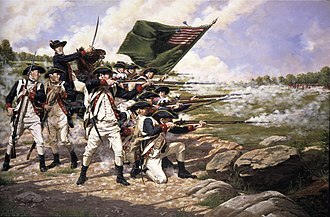 It is the 13th-oldest and seventh-most-widely circulated newspaper in the United States, established in 1801 by federalist and Founding Father Alexander Hamilton, it became a respected broadsheet in the 19th century, under the name New York Evening Post. The modern version of the paper is published in tabloid format, in 1976, Rupert Murdoch bought Post for US$30.5 million. 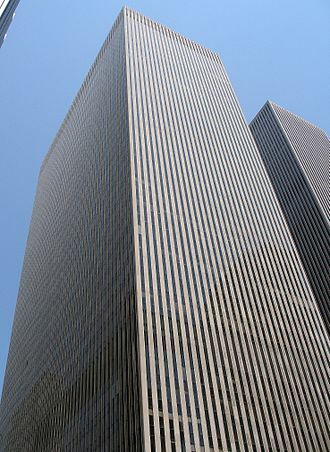 Since 1993, Post has been owned by News Corporation and its successor, News Corp and its editorial offices are located at 1211 Avenue of the Americas. New York Post, established on November 16,1801 as New-York Evening Post, the Hartford Courant, believed to be the oldest continuously published newspaper, was founded in 1764 as a semi-weekly paper, it did not begin publishing daily until 1836. The New Hampshire Gazette, which has trademarked its claim of being The Nations Oldest Newspaper, was founded in 1756, since the 1890s it has been published only for weekends. 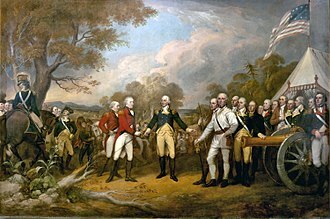 Post was founded by Alexander Hamilton with about US$10,000 from a group of investors in the autumn of 1801 as New-York Evening Post, the meeting at which Hamilton first recruited investors for the new paper took place in the then-country weekend villa that is now Gracie Mansion. Hamilton chose William Coleman as his first editor, the most famous 19th-century New-York Evening Post editor was the poet and abolitionist William Cullen Bryant. 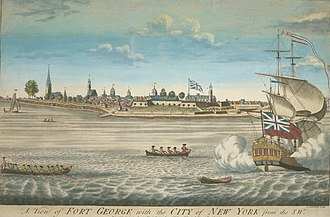 So well respected was New-York Evening Post under Bryants editorship, it received praise from the English philosopher John Stuart Mill, in the summer of 1829, Bryant invited William Leggett, the Locofoco Democrat, to write for the paper. There, in addition to literary and drama reviews, Leggett began to write political editorials, leggetts classical liberal philosophy entailed a fierce opposition to central banking, a support for voluntary labor unions, and a dedication to laissez-faire economics. He was a member of the Equal Rights Party, Leggett became a co-owner and editor at Post in 1831, eventually working as sole editor of the newspaper while Bryant traveled in Europe in 1834 through 1835. The Los Angeles Times, commonly referred to as the Times or LA Times, is a paid daily newspaper published in Los Angeles, since 1881. It was the largest metropolitan newspaper in circulation in the United States in 2008, the Times is owned by tronc. The Times was first published on December 4,1881, as the Los Angeles Daily Times under the direction of Nathan Cole Jr. and it was first printed at the Mirror printing plant, owned by Jesse Yarnell and T. J. Unable to pay the bill and Gardiner turned the paper over to the Mirror Company. 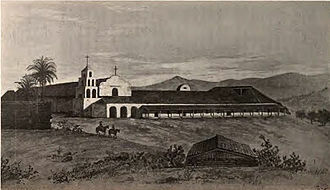 Mathes had joined the firm, and it was at his insistence that the Times continued publication, in July 1882, Harrison Gray Otis moved from Santa Barbara to become the papers editor. 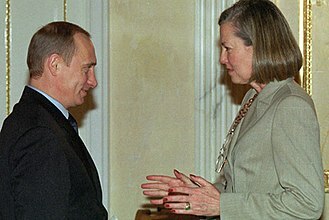 Otis made the Times a financial success, in an era where newspapers were driven by party politics, the Times was directed at Republican readers. As was typical of newspapers of the time, the Times would sit on stories for several days, historian Kevin Starr wrote that Otis was a businessman capable of manipulating the entire apparatus of politics and public opinion for his own enrichment. Otiss editorial policy was based on civic boosterism, extolling the virtues of Los Angeles, the efforts of the Times to fight local unions led to the October 1,1910 bombing of its headquarters, killing twenty-one people. Two union leaders and Joseph McNamara, were charged, the American Federation of Labor hired noted trial attorney Clarence Darrow to represent the brothers, who eventually pleaded guilty. Upon Otiss death in 1917, his son-in-law, Harry Chandler, Harry Chandler was succeeded in 1944 by his son, Norman Chandler, who ran the paper during the rapid growth of post-war Los Angeles. Family members are buried at the Hollywood Forever Cemetery near Paramount Studios, the site includes a memorial to the Times Building bombing victims. The fourth generation of family publishers, Otis Chandler, held that position from 1960 to 1980, Otis Chandler sought legitimacy and recognition for his familys paper, often forgotten in the power centers of the Northeastern United States due to its geographic and cultural distance. He sought to remake the paper in the model of the nations most respected newspapers, notably The New York Times, believing that the newsroom was the heartbeat of the business, Otis Chandler increased the size and pay of the reporting staff and expanded its national and international reporting. 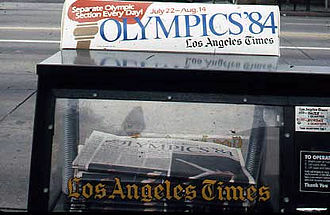 In 1962, the paper joined with the Washington Post to form the Los Angeles Times-Washington Post News Service to syndicate articles from both papers for news organizations. During the 1960s, the paper won four Pulitzer Prizes, more than its previous nine decades combined, eventually the coupon-clipping branches realized that they could make more money investing in something other than newspapers. Under their pressure the companies went public, or split apart, thats the pattern followed over more than a century by the Los Angeles Times under the Chandler family. The papers early history and subsequent transformation was chronicled in an unauthorized history Thinking Big and it has been the whole or partial subject of nearly thirty dissertations in communications or social science in the past four decades. The Washington Post is an American daily newspaper. It is the most widely circulated newspaper published in Washington, D. C. and was founded on December 6,1877 and its current slogan is Democracy Dies in Darkness. Located in the city of the United States, the newspaper has a particular emphasis on national politics. 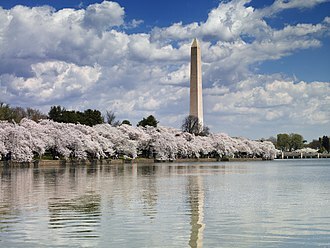 Daily editions are printed for the District of Columbia, the newspaper is published as a broadsheet, with photographs printed both in color and in black and white. The newspaper has won 47 Pulitzer Prizes and this includes six separate Pulitzers awarded in 2008, the second-highest number ever awarded to a single newspaper in one year, second only to The New York Times seven awards in 2002. Post journalists have received 18 Nieman Fellowships and 368 White House News Photographers Association awards, in years since, its investigations have led to increased review of the Walter Reed Army Medical Center. In 2013, its owners, the Graham family, sold the newspaper to billionaire entrepreneur. The newspaper is owned by Nash Holdings LLC, a holding company Bezos created for the acquisition, the Washington Post is generally regarded as one of the leading daily American newspapers, along with The New York Times and The Wall Street Journal. The Post has distinguished itself through its reporting on the workings of the White House, Congress. 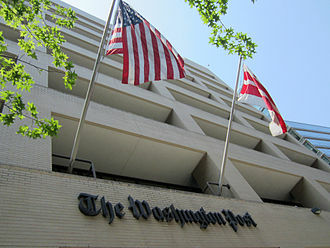 It is one of the two daily broadsheets published in Washington D. C. the other being its smaller rival The Washington Times, unlike The New York Times and The Wall Street Journal, The Washington Post does not print an edition for distribution away from the East Coast. In 2009, the newspaper ceased publication of its National Weekly Edition, the majority of its newsprint readership is in District of Columbia and its suburbs in Maryland and Northern Virginia. The Sunday Style section differs slightly from the weekday Style section, it is in a tabloid format, and it houses the reader-written humor contest The Style Invitational. Additional weekly sections appear on weekdays, Health & Science on Tuesday, Food on Wednesday, Local Living on Thursday, the latter two are in a tabloid format. The Chicago Tribune is a daily newspaper based in Chicago, United States, owned by tronc, Inc. formerly Tribune Publishing. The Tribune was founded by James Kelly, John E. Wheeler, publishing its first edition on June 10,1847. The paper saw numerous changes in ownership and editorship over the eight years. Initially, the Tribune was not politically affiliated but tended to either the Whig or Free Soil parties against the Democrats in elections. 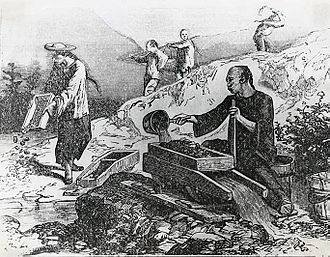 By late 1853, it was frequently running xenophobic editorials that criticized foreigners, about this time it became a strong proponent of temperance. Ray became editor-in-chief, Medill became the editor, and Alfred Cowles, Sr. brother of Edwin Cowles. Each purchased one third of the Tribune, under their leadership the Tribune distanced itself from the Know Nothings and became the main Chicago organ of the Republican Party. However, the continued to print anti-Catholic and anti-Irish editorials. Between 1858 and 1860, the paper was known as the Chicago Press & Tribune, on October 25,1860, it became the Chicago Daily Tribune. 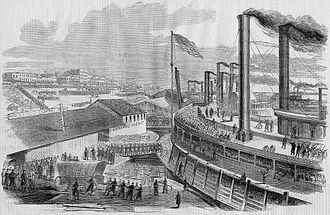 Before and during the American Civil War, the new editors pushed an abolitionist agenda and strongly supported Abraham Lincoln, the paper remained a force in Republican politics for years afterwards. 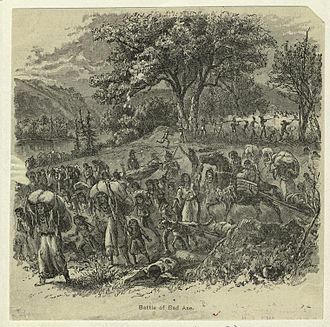 In 1861, the Tribune published new lyrics for the song John Browns Body by William W. Patton, Medill served as mayor of Chicago for one term after the Great Chicago Fire of 1871. Under the 20th-century editorship of Colonel Robert R. Joseph McCarthy, when McCormick assumed the position of co-editor in 1910, the Tribune was the third-best-selling paper among Chicagos eight dailies, with a circulation of only 188,000. At the same time, the Tribune competed with the Hearst paper, by 1914, the cousins succeeded in forcing out Managing Editor William Keeley. By 1918, the Examiner was forced to merge with the Chicago Herald, in 1919, Patterson left the Tribune and moved to New York to launch his own newspaper, the New York Daily News. 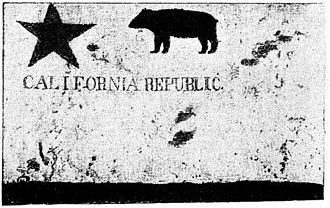 In a renewed war with Hearsts Herald-Examiner, McCormick and Hearst ran rival lotteries in 1922. The New York Daily News, officially titled Daily News, is an American newspaper based in New York City. It is the fourth-most widely circulated newspaper in the United States. It was founded in 1919, and was the first U. S. daily printed in tabloid format and it is owned by Mortimer Zuckerman, and is headquartered at 4 New York Plaza in Lower Manhattan. The Daily News was founded by Joseph Medill Patterson in 1919, Patterson and his cousin, Robert R. McCormick were co-publishers of the Chicago Tribune and grandsons of Tribune founder Joseph Medill. On his way back, Patterson met with Alfred Harmsworth, who was the Viscount Northcliffe and publisher of the Daily Mirror, impressed with the advantages of a tabloid, Patterson launched the Daily News on June 26,1919. The Daily News was not a success, and by August 1919. Still, New Yorks many subway commuters found the tabloid format easier to handle, by the time of the papers first anniversary in June 1920, circulation was over 100,000 and by 1925, over a million. Circulation reached its peak in 1947, at 2.4 million daily and 4.7 million on Sunday. The Daily News carried the slogan New Yorks Picture Newspaper from 1920 to 1991, for its emphasis on photographs, and a camera has been part of the newspapers logo from day one. The papers slogan, developed from a 1985 ad campaign, is New Yorks Hometown Newspaper, while another has been The Eyes, the Ears, the Honest Voice of New York. News-gathering operations were, for a time, organized using two-way radios, prominent sports cartoonists have included Bill Gallo, Bruce Stark and Ed Murawinski. Editorial cartoonists have included C. D. Batchelor, editions were published as extras in 1991 during the brief tenure of Robert Maxwell as publisher. In 1982, and again in the early 1990s during a newspaper strike, in the 1982 instance, the parent Tribune offered the tabloid up for sale. In 1991, millionaire Robert Maxwell offered financial assistance to The News to help it stay in business, when Maxwell died shortly thereafter, The News seceded from his publishing empire, which eventually splintered under questions about whether Maxwell had the financial backing to sustain it. The City of New York, often called New York City or simply New York, is the most populous city in the United States. With an estimated 2015 population of 8,550,405 distributed over an area of about 302.6 square miles. Located at the tip of the state of New York. Home to the headquarters of the United Nations, New York is an important center for international diplomacy and has described as the cultural and financial capital of the world. 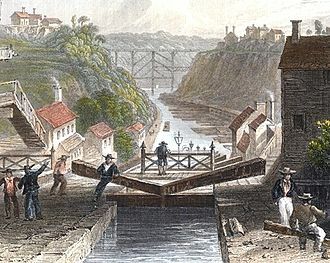 Situated on one of the worlds largest natural harbors, New York City consists of five boroughs, the five boroughs – Brooklyn, Manhattan, The Bronx, and Staten Island – were consolidated into a single city in 1898. In 2013, the MSA produced a gross metropolitan product of nearly US$1.39 trillion, in 2012, the CSA generated a GMP of over US$1.55 trillion. 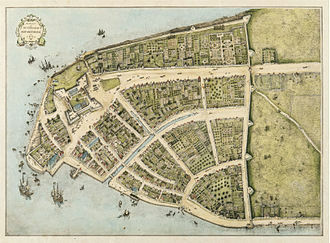 NYCs MSA and CSA GDP are higher than all but 11 and 12 countries, New York City traces its origin to its 1624 founding in Lower Manhattan as a trading post by colonists of the Dutch Republic and was named New Amsterdam in 1626. 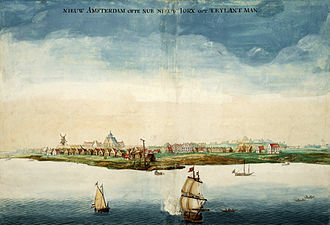 The city and its surroundings came under English control in 1664 and were renamed New York after King Charles II of England granted the lands to his brother, New York served as the capital of the United States from 1785 until 1790. It has been the countrys largest city since 1790, the Statue of Liberty greeted millions of immigrants as they came to the Americas by ship in the late 19th and early 20th centuries and is a symbol of the United States and its democracy. In the 21st century, New York has emerged as a node of creativity and entrepreneurship, social tolerance. Several sources have ranked New York the most photographed city in the world, the names of many of the citys bridges, tapered skyscrapers, and parks are known around the world. 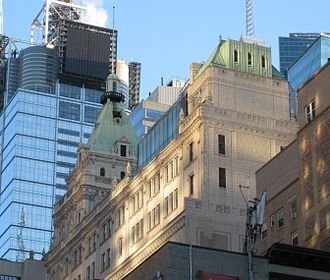 Manhattans real estate market is among the most expensive in the world, Manhattans Chinatown incorporates the highest concentration of Chinese people in the Western Hemisphere, with multiple signature Chinatowns developing across the city. Providing continuous 24/7 service, the New York City Subway is one of the most extensive metro systems worldwide, with 472 stations in operation. The Boston Post was a daily newspaper in New England for over a hundred years before it folded in 1956. The Post was founded in November 1831 by two prominent Boston businessmen, Charles G. Greene and William Beals, Edwin Grozier bought the paper in 1891. Within two decades, he had built it into easily the largest paper in Boston and New England and he passed it to his son, upon his death in 1924. Under the younger Grozier, The Boston Post grew into one of the largest newspapers in the country, at its height in the 1930s, it had a circulation of well over a million readers. At the same time, Richard Grozier suffered a breakdown from the death of his wife in childbirth from which he never recovered. Throughout the 1940s, facing increasing competition from the Hearst-run papers in Boston and New York and from radio and television news, when it ceased publishing in October 1956, its daily circulation was 255,000 and Sunday circulation approximately 260,000. In 2017 some publishers are planning to start The Boston Post starting with www. thebostonpost. com, Richard Frothingham, Jr. a Massachusetts historian and politician who was a proprietor and managing editor of The Boston Post. Kenneth Roberts Olga Van Slyke Owens Huckins, literary editor,1941 to 1954, Huckins letter to Rachel Carson inspired the book Silent Spring. Appearing in the Sunday paper every week was a weekly magazine and it was called first The Sunday Magazine of The Boston Sunday Post and The Boston Sunday Post Sunday Magazine. The Boston Post was awarded the Pulitzer prize for its investigation and it was the first time that a Boston paper had won a Pulitzer, and would be the last Pulitzer won for public service awarded to a Boston paper until the Globe won it in 2003. In 1909, under the ownership of Edwin Grozier, the Boston Post engaged in its most famous publicity stunt. The paper had several hundred ornate, gold-tipped canes made and contacted the selectmen in New Englands largest towns, the Boston Post Canes were given to the selectmen and presented in a ceremony to the towns oldest living man. Miguel Vazquez from USA Today shows off the publication's Metro App, 2012. This February 5, 2009 issue of USA Today shows the old layout and logo of the paper prior to its 2012 redesign. 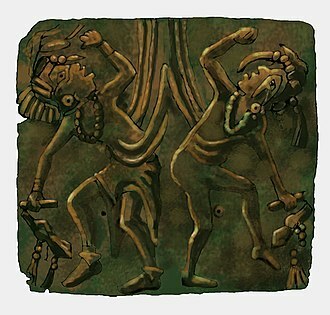 The story of Pocahontas, an ancestress of many of the First Families of Virginia, was romanticized by later artists. 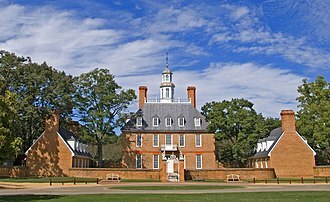 Williamsburg was Virginia's capital from 1699 to 1780. Charles Mound, the highest natural point in Illinois at 1,235 feet, is located in the Driftless Area in the northwestern part of the state. The previous headquarters of The Washington Post on 15th Street NW in Washington, D.C.
Bezos giving NASA Deputy Administrator Lori Garver (fourth from left) a tour of Blue Origin's crew capsule in 2011. U.S. Secretary of Defense Ash Carter meets with Bezos in 2016 at The Pentagon. 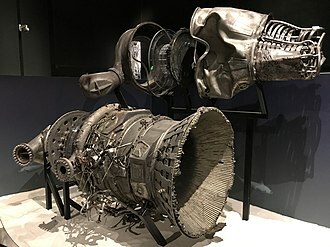 Bezos funded the retrieval of this F-1 engine from the bottom of the Atlantic Ocean in 2015, eventually donating it to the Seattle Museum of Flight. The Pittsburgh Post-Gazette Building in Downtown Pittsburgh, which housed the paper from 1962 to 2015. The Post-Gazette building in October 2015. 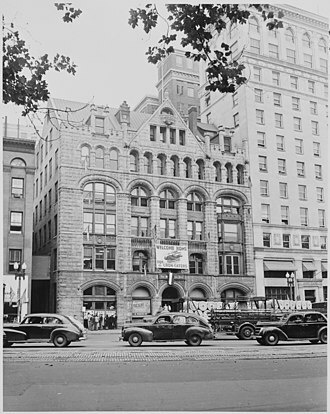 The former Strawbridge & Clothier Building at 801 Market Street, where the Inquirer and Daily News offices are now located. 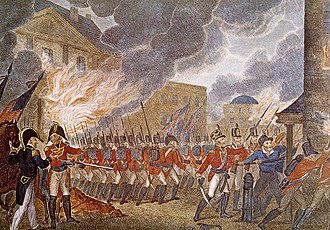 Following their victory at the Battle of Bladensburg, the British entered Washington, D.C., burning down buildings including the White House. 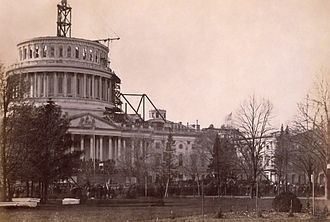 President Abraham Lincoln insisted that construction on the United States Capitol dome continue during the American Civil War; 1861. 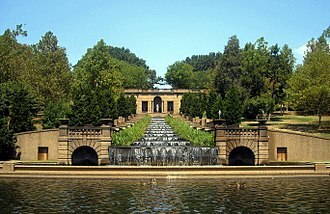 Meridian Hill Park in Columbia Heights, Northwest, Washington, D.C.
Truman was widely expected to lose the 1948 election, and the Chicago Tribune ran the incorrect headline, "Dewey Defeats Truman". Front page of October 8, 2016, with the headline story reporting on the Access Hollywood recordings of Donald Trump. Daily News Building, John Mead Howells and Raymond Hood, architects, rendering by Hugh Ferriss. The landmark building housed the paper until the mid-1990s. 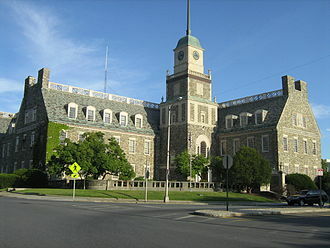 The current building of the Hartford Courant Co.